I just finished taking Digital Project Life at JessicaSprague.com. I've been wanting to try it for awhile but didn't really know how to get started...not sure why I had such a mental block on it. Jessica is about to make it a self-paced class so if this is something you are interested in, you can still take it pretty soon. 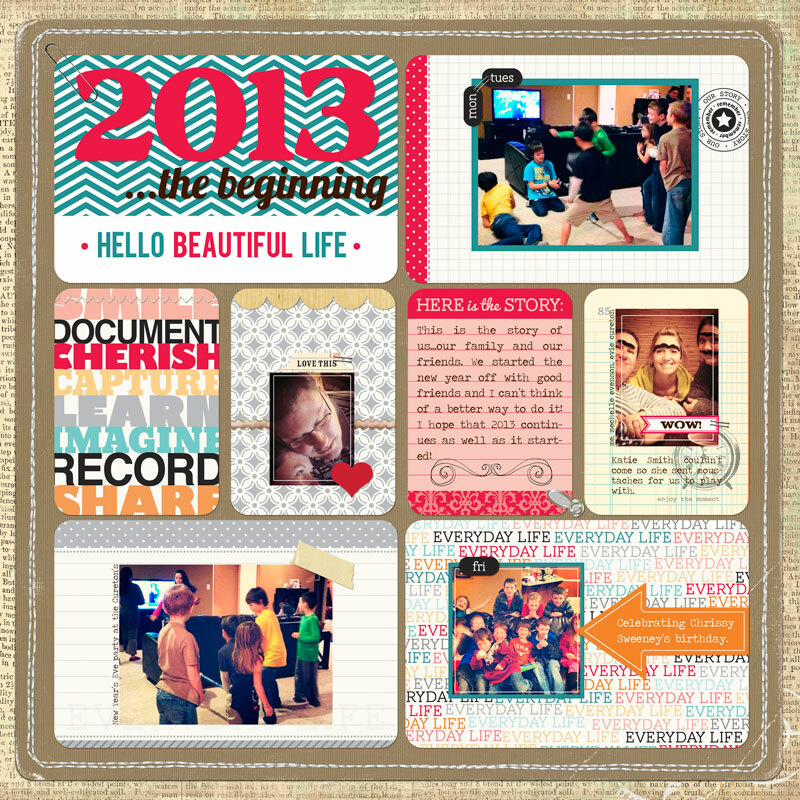 I'm hoping that I can get caught back up with my scrapbooking. The last couple of years have been a little hard dealing with my miscarriages and I just wasn't in the mood for much of anything...I've done a few pages but nothing much. A few weeks ago Colton told me he wished I'd add some to his books and last week he told me he missed the days when we would craft together. He loves to help! So it's time I get started with it again. And I'm working more on my photography too. Hope to make it a business this year!! I have my PL title page done and will work on the 2nd week today (with any luck at all). I used Becky Higgins' Clementine Edition and some supplies we got in class plus some supplies from various designers I just have in my stash. Now that I see how much fun and how easy PL is I wish I'd stocked up on all the kits while they were at JessicaSprague!! Becky has opened up her own digi store at AC Digitals so you can still get them there or find the already printed traditional kits at Amazon...just do a search for Project Life and you'll find TONS!